Southeastern Esthetics Institute's 600 -Hour Esthetics Licensure Course and 300-Hour Advanced Esthetics Academy are nationally accredited by COE. The Council on Occupational Education (hereinafter referred to as the Council or COE) came into existence initially in 1971 as the Commission on Occupational Education Institutions (COEI) of the Southern Association of Colleges and Schools (SACS), a regional accrediting association that serves institutions in an 11-state region. Operating as a unit of SACS, COEI provided accreditation services to postsecondary occupational education institutions located, with a few special exceptions, in the SACS region. Accreditation of an educational facility is the most respected indicator of a school’s dedication to superior educational practices. SEEI utilizes SMART School Software, which provides an automated means to more effectively manage schools for the long term. The SMART Technical Support team is made up of professionals with extensive understanding of the processing related to Title IV funding and daily school operations. SEEI Students are ensured that there are no interruptions with the processing of Federal Financial Aid. SEEI offers programs which have been approved by the United States Department of Veterans Affairs (VA for Veterans) and their dependents educational benefits. Southeastern Esthetics Institute is a proud member of the Aesthetics International Association. AIA was founded in 1972 as the first American aesthetics association. 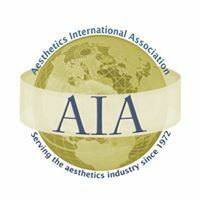 AIA was founded to bring aesthetic professionals together to network, share knowledge, and gather in numbers to establish a presence in the industry. In the early ‘80s, we began our mission to “Raise the standards of education and public awareness of the aesthetics industry.” At that time, there was no separate aesthetic licensing in America. While we don’t take credit for establishing state licensing, our strong membership, leadership, and years of petitioning for such, undoubtedly had an impact. ​In addition to advocating to raise the standards through separate licensing, we also created an organization dedicated to providing aesthetic professionals with much needed tools and resources for their careers. We have provided education and career growth opportunities for thousands of aestheticians along their journeys. We continue that commitment with even more educational events, classes, workshops, and webinars than ever before! Southeastern Esthetics Institute is a proud member of the American Medical Spa Association. AmSpa provides legal, compliance, and business resources for medical spas and medical aesthetic practices. AmSpa members have access to legal summaries of the regulations in their state, and are eligible for an AmSpa-exclusive medical spa insurance package. Members also gain savings on training events, tools that teach medical spa legal and business best-practices.